If you love beer or even obsess about it then this new concept of the bottle is for you. French industrial designer Petit Romain recently conceived of a way to take beer outside the bottle. 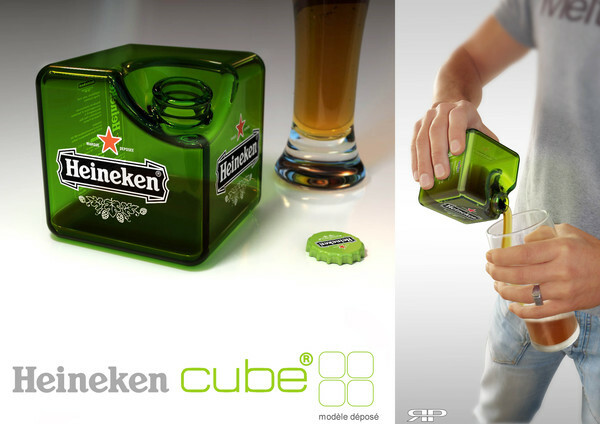 Tired of round bottles in six-packs that clink together and are difficult to stack, Romain imagined enjoying Heineken out of a square bottle instead. Back in the early 1960s, Heineken debuted a rectangular beer bottle that doubled as a glass brick. 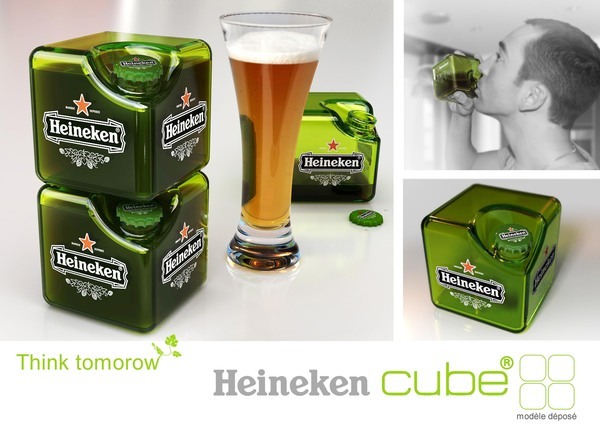 Similar to that design, the Heineken Cube concept delivers optimal storage for manufacture, transport, and ultimately consumer use. Take a look! And if you were surprised by the design of this bottle you should check Top 10 Most Expensive Bottles of Wine in the World. awesome idea to store my favorite drink!